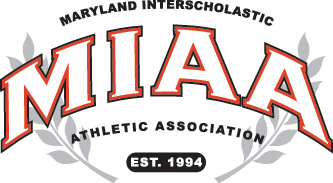 On Saturday December 8th, the Baltimore Touchdown Club will be hosting it’s 23rd Annual Baltimore Touchdown Club Senior All-Star Football Classic, featuring featuring two games, beginning at noon, with elite Senior All-Stars from all four corners of the state of Maryland. At noon, the West Team, which mainly consists of players from Carroll County, Frederick County and Washington County will take on the South Team. The South Team consist of players from Anne Arundel County as well as other schools located in the south region. Tuscarora Head Coach Vince Ahearn will led the South squad, which will include members of 3A State Champion Oakdale and 2A State Runner-up Linganore. The South team will be led by Severna Park Head Coach Will Bell. At 3:00 p.m., the East team will play the North Team. The East team will be led by Concordia Prep’s Head Coach Josh Ward. The East team will primarily consist of players from Baltimore County and Baltimore City schools. The North Team will be led by St. Paul’s Head Coach Scott Ripley. The North Team will largely consist of players from private schools, as well as other public schools.